Her International was founded in 2017 by Cassie De Pecol, a woman who had to break down barriers in order to achieve what many deemed to be impossible. Her first challenge was finding funding for her Expedition to 196 countries to share her vision of peace through responsible tourism and break a Guinness World Record. However, due to the fact of having left university a semester short of graduating, she would only be declined when approaching non-profit organizations for grants. Cassie then realized, that she would never want a woman or girl to be in the same position when working towards achieving a major life goal, and that once she succeeds in her mission, she would be able to provide funding and assistance to women of all educational backgrounds. That time has finally come to fruition, in the form of Her International. At Her International, we strive to be the backbone behind the dream of a young girl or woman who's goal is to pursue their greatest passion while addressing one of the United Nations Sustainable Development Goals. Our goal is to carefully select and choose driven applicants and provide the necessary funding and assistance to bring their dream project to life. The application process is rigorous, but not limited based on a woman's educational background or amount of experience. We want to ensure that each woman has an equal opportunity of receiving financial assistance from Her International, and we carefully select individuals based off of the carefully constructed pitch, deck, proposal, and other set measurements and content that they have 110% committed themselves to and mastered. We hope that through Her International, we are able to fund projects that are both sustainable for the long term and that maintain positive growth towards alleviating the issue at hand to eventual success. Cassie risked her life as a 27 year old American woman to travel alone to every country in the world in the name of peace. Through not only surviving, but thriving, she was able to prove to the world, that despite her age, gender, and blonde hair, that the world is indeed a more united and kinder place that what we see in the media, and that perhaps, peace is achievable in the long run. Her feat also undeniably made a significant impact on the dreams of young women, now seeing and believing that they can achieve what they set their mind to, that they, too, can travel the world, knowing that it is kinder and hospitable than one might believe. With each project that we invest in, we do so with the promise that the project will never cease until the job is done. We aspire to support projects designed to continually evolve in order to address the matter at hand, with the goal of leaving behind a legacy and a better world. Finally, we believe in the structure of facilitating quarterly goals which help to define how far we've come in addressing each of the USDG's through the projects which we support. In 2019, our goal is to support an 3 projects per annum with the hopes that by the end of 2025, we've succeeded in supporting women out in the field who are working towards each of the 17 UNSDG's. Realistic annual fundraising goals are what we aim for at Her International, and with 17 goals to support we have big shoes to fill. Achieving a minimum of $34,000 to evenly distribute between each goal gives us the chance at making just a small impact through supporting passion-driven projects out in the field. Her International consists of a diverse and international group of women who have traveled near and far and worked with local organizations around the world. These local organizations often embody immense vision, persistence, and drive to create significant changes within their community. For these reasons, we choose to partner with local 501(c)3's in the countries and communities that are home to the projects we support, in order to create a stronger union of passionate individuals striving towards one goal. The Her International Board consists of powerful and influential women who have succeeded through breaking down barriers; surviving the unimaginable and achieving the impossible. Founder, Cassie De Pecol, knows first hand the limitations that women face when getting their project off the ground. She started this organization in hopes helping women and girls achieve their dreams despite the setbacks that society places on them. Her vision was to create, her legacy was to inspire. Between July 24th, 2015 and February 2nd, 2017, Cassie traveled alone to 196 countries, breaking two Guinness World Records and becoming the first woman on record to travel alone to every country in the world. Expedition 196 was her mission to promote peace through responsible tourism, which involved meeting with Mayors and Ministers of Tourism, speaking to over 16,000 university students across 40 universities and 39 Nations, planting trees to offset her carbon footprint and collecting water samples to test for the presence of micro plastics in our worlds waterways. 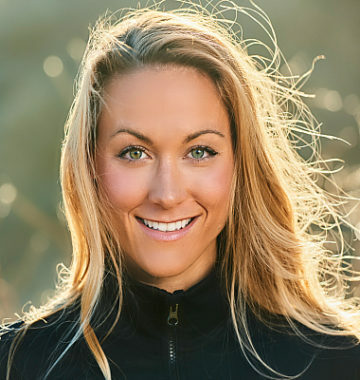 With having achieved so much by the age of 28, Cassie made a decision to start building her legacy through the educational documentary she filmed throughout her Expedition, and Her International, Inc. Both projects involve educating future generations on the importance of responsible tourism, and fueling young women’s goals that aim to positively enhance the world we live in. To learn more about Cassie, visit her website. Petra Němcová is a Supermodel, Philanthropist & Entrepreneur.Petra currently graces campaigns and is a global brand ambassador for Chopard, Mercedes and Tumi. Her major breakthrough was in 2003 as the Sports Illustrated Swimsuit Edition cover girl. As a model, Petra has achieved international success, working with brands such as Max Factor, Pantene, Clarins, La Perla, Clinique and Victoria’s Secret. Petra founded her charity, Happy Hearts Fund, in 2006 with a mission to rebuild safe, resilient schools in areas impacted by natural disasters. In the Fall of 2017 Happy Hearts Fund merged with All Hands Volunteers to create All Hands and Hearts – Smart Response in order to efficiently and effectively address the immediate and long-term needs of communities impacted by natural disasters. All Hands and Hearts arrives early for first response and stays late to rebuild schools and homes in a disaster- resilient way. allhandsandhearts.org. To learn more about Petra, click here. Interested in volunteering with Her International? looking to add their expertise to the team.